Newcastle manager Benitez's contract expires at the end of the season, but the Spaniard has been keen to avoid any questions over his future. And although he refuses to offer any concrete update until Newcastle's fate is decided, Benitez finally shed some light on the situation ahead of Monday's Premier League trip to Arsenal, live on Sky Sports. Asked about reports linking him to a Chinese club, Benitez said: "No contact from other clubs. At the moment I can read like you what is going on in the press, but the situation is exactly the same. "My priority is to keep talking with Newcastle United and see where we are, and that's it. I'm not considering anything until we progress and know where we are. "Have I started talks with Newcastle? I had some contact with Lee Charnley but at the moment it is too early. We have to concentrate on the games." 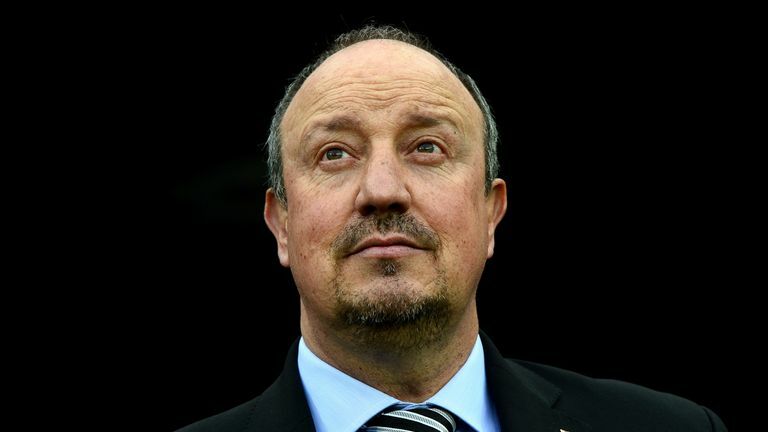 Newcastle are seven points above the drop zone with seven Premier League games remaining this season, and Benitez believes a win at the Emirates could secure their future in the top flight next season. He added: "Monday night will be a tough game. Arsenal are doing really well. If we can do what we have to do and get three points, then we have to see what the other teams do first. "One game might be enough, but you never know. We just have to carry on. Every game is still a final."